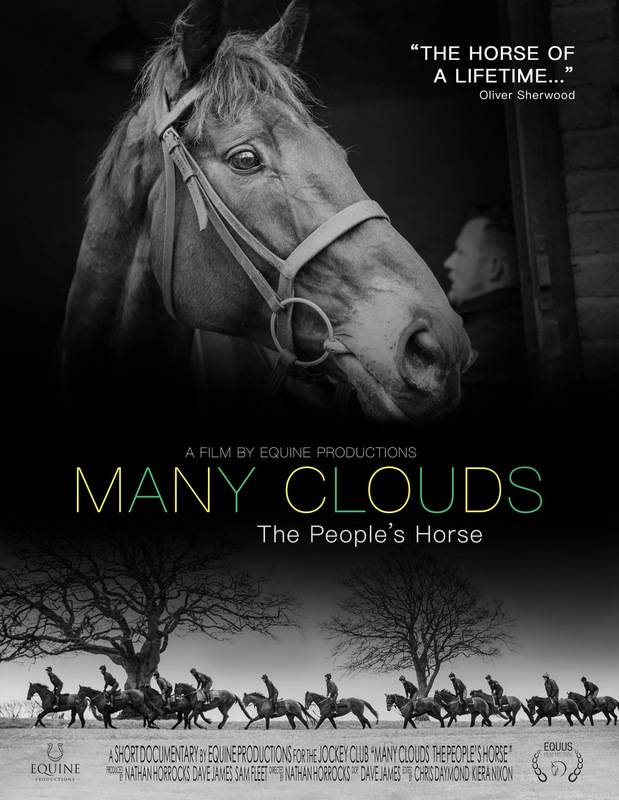 “Many Clouds, The People’s Horse”, a short film by Equine Productions receives two nominations ahead of the EQUUS Film Festival in New York next month. A tribute to former Grand National winner, Many Clouds, the film is selected for two categories – International Documentary and International Director. A horse of a lifetime, Many Clouds touched the hearts of so many. The film captures the journey of his acclaimed career – from the rise of his talent on the national hunt circuit, to his triumph at the 2015 Grand National which was documented on the Equine Productions’ JockeyCam, worn by Leighton Aspell. The EQUUS Film Festival takes place at the Helen Mills Theater in New York on 17 – 18 November 2017.